The Sharjah Summer Grand Discounts that was recently launched by the Sharjah Chamber of Commerce and Industry in coordination with the Economic Development Department in Sharjah as part of the Sharjah Summer Offers activities starts on Tuesday and will be held for three consecutive days from August 29 to 31. More than 1,000 retail shops in the shopping centers will participate in the Sharjah Summer Grand Discount Campaign, with unprecedented discounts of up to 80 per cent on top brands, products and goods. The campaign provides shoppers with many opportunities to win or enter the draw on a wide range of prizes, valuable gifts and vouchers announced by many shopping centers and shops. Sharjah City Center has provided a 2017 Toyota Fortuner as a prize for the big draw that will be held at the end of the season, while Sahara Center announced it will give away a Mercedes S500 Cabriolet as well as a full year's rent, school tuition, electricity and communications bills and fuel for a total value of Dh130,000. 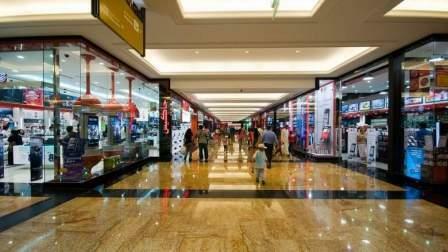 Mega Mall will also give away a Lexus LX 570 and coupons valued at Dh15,000. Ibrahim Rashed Al Jarwan, director of the Department of Economic Relations and Marketing at SCCI, confirmed the chamber's keenness to launch promotional initiatives to support retail, tourism and other vital economic sectors, in line with the emirate's approach to developing the investment environment and enhancing its attractiveness and encouraging businessmen, traders and investors to expand their business. At the same time to delight the residents and visitors with a shopping atmosphere and attractive offers that suits all's budgets, needs and tastes. Hanaa Hamoud Al Suwaidi, head of the Festival and Exhibitions Department at SCCI, said the shopping centers and shops have completed their logistical preparations to attract the largest number of shoppers and receive the best offers to increase their sales during the days of the Sharjah Summer Grand Discounts campaign and in the last ten days of Sharjah Summer Offers which will be concluded on September 9.